Be up to date with the changes in the marketplace, from product positioning to reviews and comments. Find out whenever a product is removed or added. Identify the retailer the product is added or removed. See how many products are added / removed in a retailer. Find out whenever the number of stores that a product is sold at rises or drops drastically. 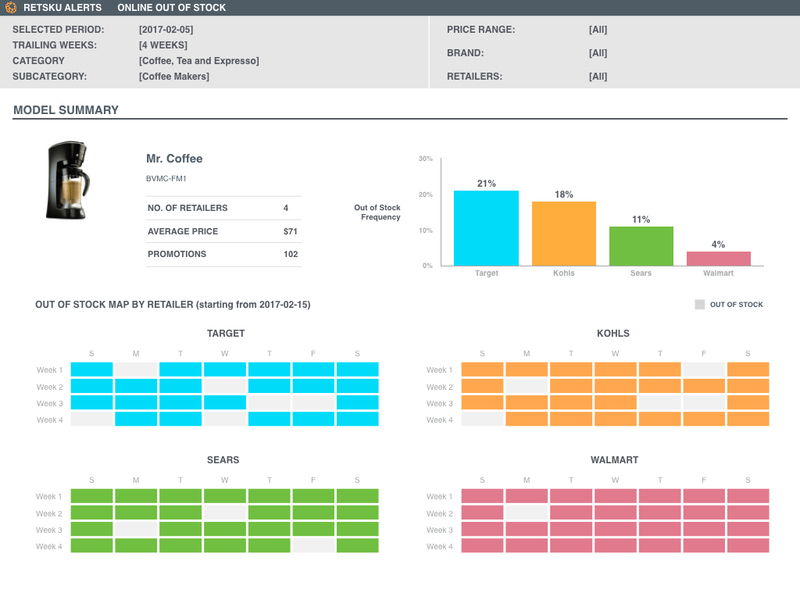 Take advantage of whenever competitors are out of stock, or anticipate shifts in in-stock store changes. Find out whenever there’s a large price difference for a single product sold at multiple retailers. 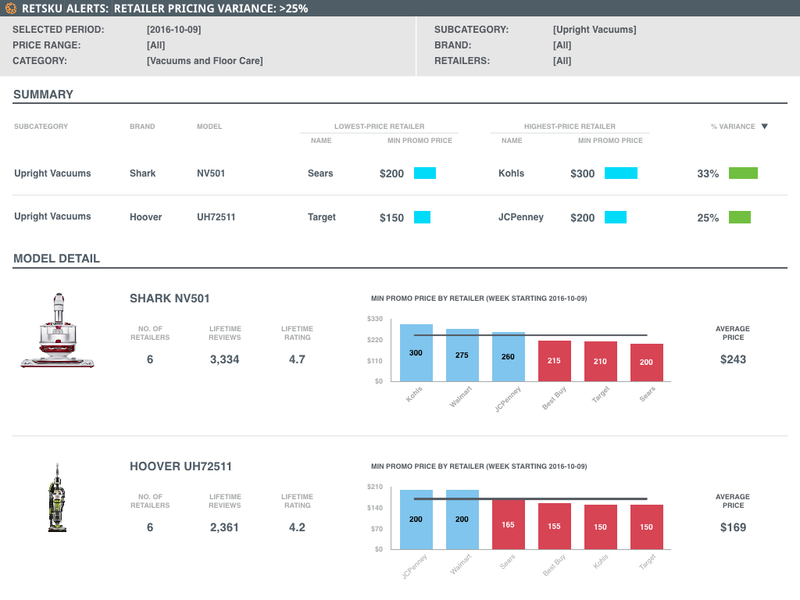 A comprehensive overview of product pricing at multiple retailers to help inform your own pricing strategy. 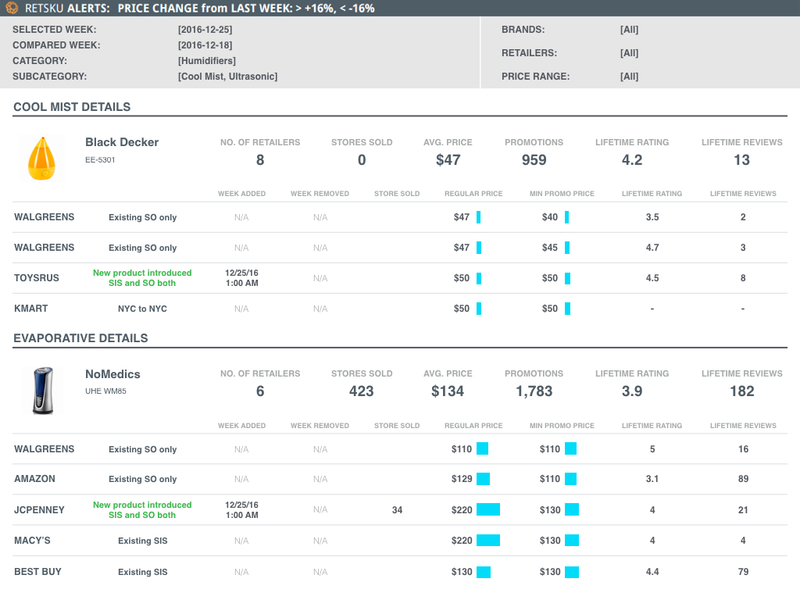 Find out whenever a model’s price suddenly drops drastically, due to promotion or otherwise. 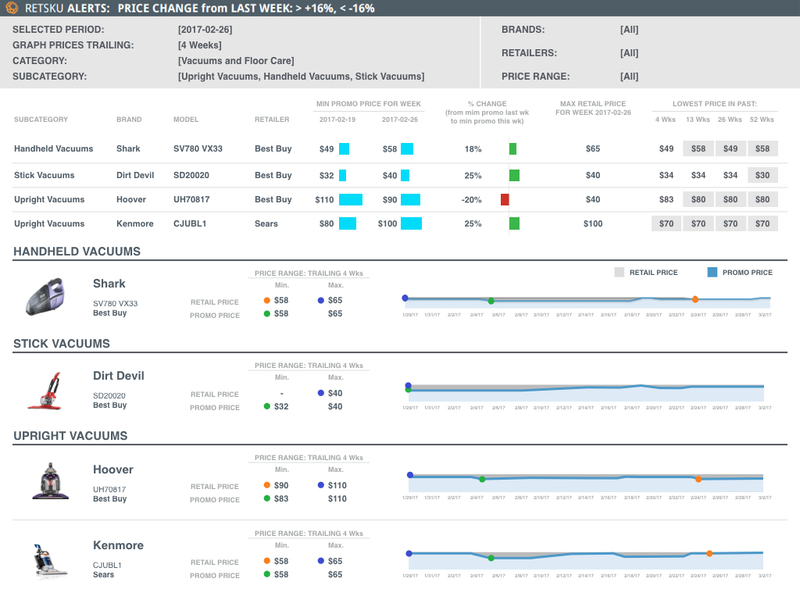 View the trends of product pricing and spot the patterns. 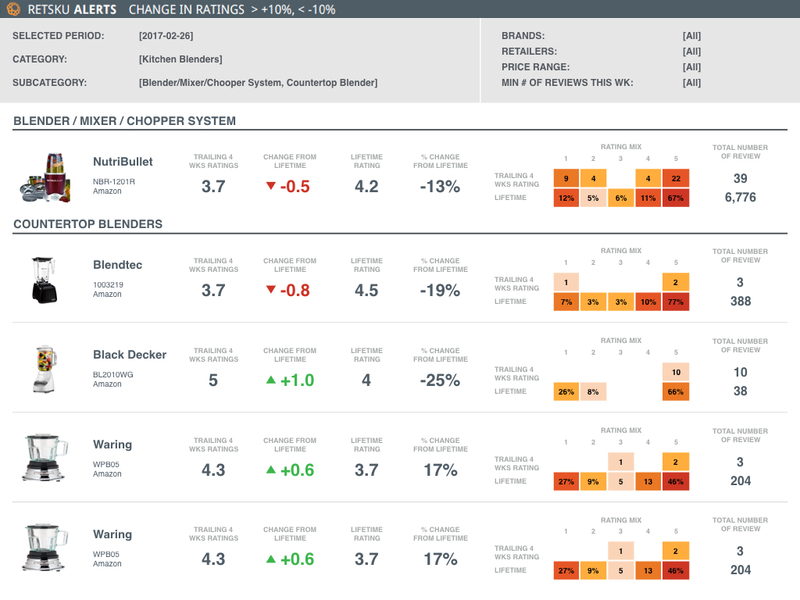 Find out whenever a product’s ratings change drastically at any retailer. Find out how much it changed in accordance to lifetime ratings, and see how many reviews products received within a period. Find out which products at which retailers have been getting recent reviews. 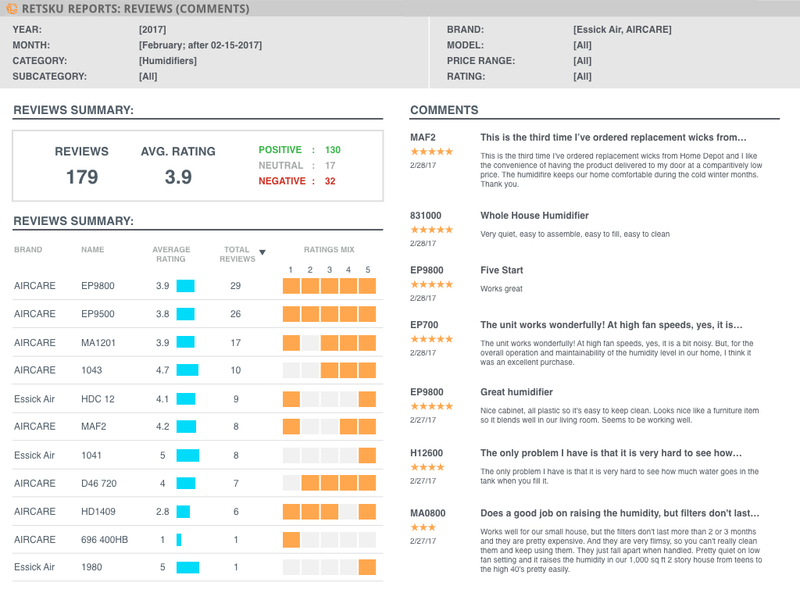 View and respond to individual comments on products and enhance your customer service capabilities. Find out which product at which retailer website is out of stock. 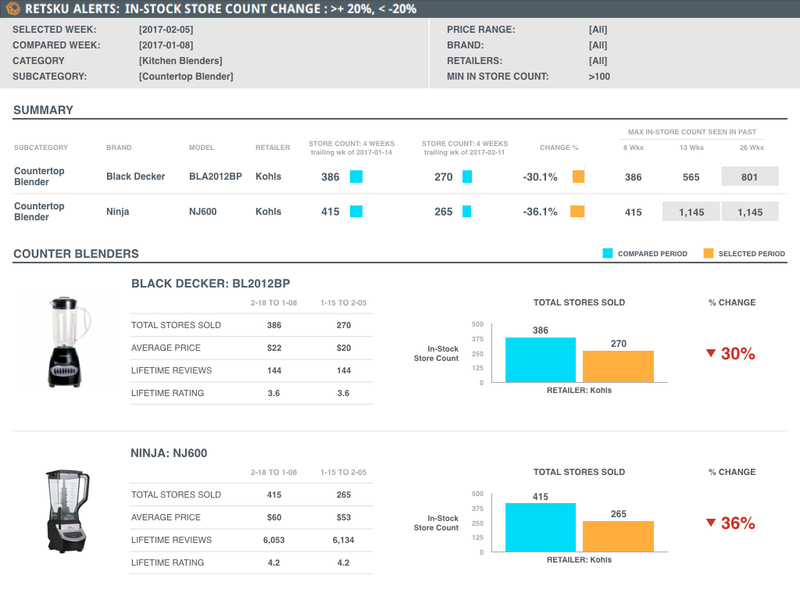 View the trends and patterns of out-of-stock products.